After RMK changed the director Rumiko to Kaori, they are changing items few by few. This Skintuner is also one of them. This is new for SS2015. There are also Skintuner Treatment with pink bottle, the difference is this blue bottle “Smoother” is for Spring-Summer, and “Treatment” is for Autumn-Winter. Treatment is Moist and Extra Moist, Smoother is Light and Moist. I guess you can choose as your skin condition too. I (Cherry) got a sample of (s) Moist, let me share with my review. As I remember, previous formula of “Skintuner” is the product of “you do not need anything after this lotion”, and seems this lotion is also that kind of. It is to remove your old keratin, they recommend to use cotton. The way to use: apply this lotion on your cotton, and wipe softly. There are perfume of orange and ginger. I liked the scent of this lotion, I feel really “spicy” in good meaning. I applied this with hesitation, but I should not be worried. I got anything pain with this. After I wiped my face really gently, I found the cotton was getting dark what may be my “dirt”, aka keratin. I also liked the finish of my skin, far from oily, but well moist. I just worried I need something to wrap, but according to RMK, I need nothing excluding I wanna use special care. What I liked the most is this is really watery, what is my preference. My skin is drier with aging, and I need to choose “moist”, and they are often sticky products. I like those runny and watery things. But I also admit, I felt my skin is oilless. I should use horse oil or something. Yes, this is for Summer. Totally to say, if you just end your skin care with one bottle of lotion, this is one of my recommend, but this is oilless, if you want to apply “oil” to your skin, you need add something oils. 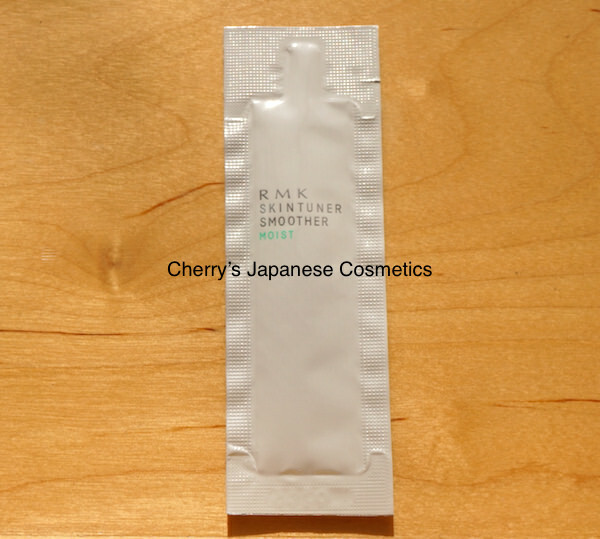 Please check the latest price, and order from here: “RMK Skin Tuner Smoother”.